After every discussion during the curatorial-intensive, and during our field trip in Hong Kong, our facilitator Heman will quite predictably yell out “Any questions!” Even recently on our Facebook group, he charged us with a task. I am reading an article on Durational Performance by Forced Entertainment, which hinges on the performative structure of the event as being a task or a game. In Quizoola!, a six-hour performance in which three people alternate between sitting within a ring of bare electric bulbs and are grilled using a catalogue of about 2000 questions, the audience come and go as and when they please. FE speaks of the event as being about “the nature of language, and how it can, or cannot, describe or define or deal with the truth of our lives.”  This fluidity and contingency of knowledge in its very creation and re-generation brings to mind several other things. Advanced Studies… (Ten Lessons in Life) is a work by Heman that relies on students to take on the role of the teacher. Ten 16-year-olds separately pick apart gargantuan topics and attempt to convey this knowledge to a willing audience. More than about gauging informational correctness, the work also flourished with every attempt and failure at advising on such complexities. The process of living is constituted by an unending list of questions, the ebb-and-flow of various understandings, and changing narratives. As we go about the several phases of Curating Lab, it becomes increasingly clear to me that the curation of anything has to allow for an open-endedness framed by certain topical guiding lines. Outside of any context, this open-endedness too disappears into a puff of smoke! It is a game we play as we attempt to list the rules abiding by our own logic, but also almost hoping that someone will hack our gem of a system to throw up new possibilities. And so as we plough along towards our exhibition in 2015, it has become more urgent to gather what these questions are that we want to be asking. As of yet, I too feel guilty about my lack of a definitive question. But perhaps, there is something else to be gained from looking at the gap we want so dearly to be filled, a gap that was created from the moment of inquiry. As a curator, what are the questions we want to be asking? How will we ask it? In the same flow of things, I am piqued by the absence of Kim Lim in many of our discourses around Singaporean artists. And if one might add, in general, the absence or rarity of material surrounding Singaporean artists in our local libraries, which the visit to the Asia Art Archive in Hong Kong highlighted our lack thereof. I am reminded also that the topic of knowledge production is a focus of this year’s programme. Perhaps, another way to think about it is to consider ‘gap’ production as equally useful. I’d like to make these gaps apparent. Let’s dive further into that. Recap in pictures to follow, I will leave the captions to you. I wish to thank Heman and Latitudes (Max and Mariana) for their stories and conversations, and NUS Museum (Michelle and Flora) for their making the programme possible! 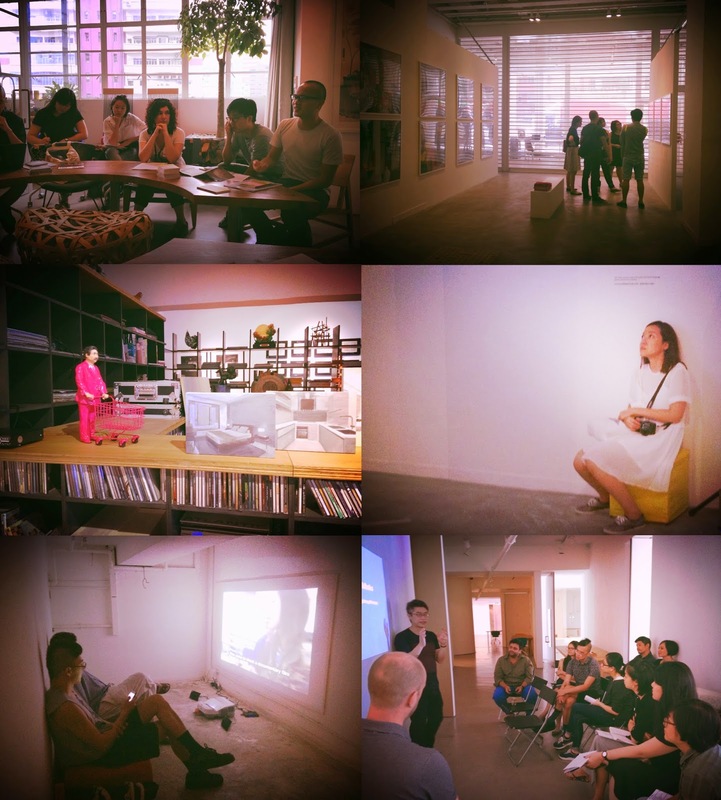 https://www.facebook.com/groups/curatinglab2014/ (Secret group), accessed 14 July 2014. A. Heathfield (ed. ), Live: Art and Performance, Tate Publishing, London, 2012, p.101.